Want to get involved? How to make your voice heard. • You have a voice in the process. You may write your Senator or Representative about concerns regarding pending legislation. Before they become law (an RCW), they are called bills and have a bill number (HB for House bills, and SB for Senate bills). • All you need is the correct bill number, and you can track the progress of the bill. You can send comments to the committee and to your representatives via the legislature’s website. It is very simple to do. • We will provide bill numbers and links for current legislation. Please read the bill and the other documentation available. Listen to recorded testimony. • We encourage each of you track the bills and to send in your comments. • Look up your own legislators and know if they sit on the committee to which the bill was assigned. Know if they are co-sponsors of the bill. Most bills we are interested in will be assigned to the Transportation Committees of the House or Senate. Even if your legislators are not on the committee to which the bill is assigned, tell them you want them to be aware of it. If the bill reaches the floor of the House or Senate, remind them the day before, or morning of, how you want them to vote. Offer to answer questions. Ask for a reply and an opinion. Keep everything brief and respectful, and avoid a criticizing tone. Be as positive as possible in your approach. • Share this information with your school district and administrators or owners. Inform them of your opinions and any concerns. Find out how they feel. Encourage them to let the legislators who represent your district know how the legislation or rules might affect your students and families, your programs/schools, and even your jobs. • You can also attend a public hearing to express your opinions to the committee considering the bill before it is referred to the full Senate or House. If the room is packed with people, it makes a statement. You can also send in written testimony if you can’t attend. • We endeavor to have someone from our Board and/or our legislative liaison attend public hearings to provide our testimony. The Board reviews the pending policy and votes on our position before we testify. Our legislative liaison communicates with legislators, the agencies, and other stakeholders, and provides input and suggestions. We will post the official board’s position, our suggestions, and our testimony here on this policy page. Nevertheless, don’t rely only on us to be your single voice. We encourage you to send in your own comments directly. Many voices making their views known is the key to getting the attention of legislators. • If the bill passes the Legislature (both houses), you may also write the governor, and request him/her to sign the bill or to veto the bill. If there is one section you object to, you can ask the governor to veto that section, and otherwise sign the rest of the bill. For WAC rules, you may write the respective agency about concerns, and you can attend a public hearing if new rules are being proposed. 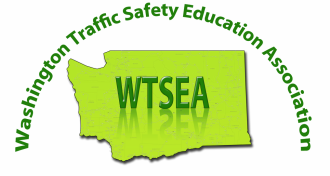 We will provide links to the laws (RCWS) and the agency rules (WACS) that govern Traffic Safety Education in Washington State. We will also provide links to the agencies that provide oversight. From time to time, we will send you e-mails to inform you of pending policy changes or legislation. We may request replies, or we may send you a survey. Please reply. We cannot represent you if we don’t know your thoughts and wishes. Please send us your questions and your comments.